TrueBlue Walkin Drive In Gurgaon | Payroll Executive Jobs | 2nd To 4th December 2017. TrueBlue has released latest job openings in Gurgaon for graduate, B.com, MBA candidates. the TrueBlue company is recruiting the job hunters who have excellent communication skills and passion to work in winning environment. TrueBlue Careers is the good opportunity for the contenders who are looking for a job in a reputed company as Payroll Executive. Salary INR 1,50,000 – 2,75,000 P.A. Do you have good communication skills with all the given qualification requirements? Then you can directly attend this TrueBlue Walkin Drive. Before going to attend for TrueBlue Walkin Interview, you should practice TrueBlue Placement Papers and TrueBlue Test Pattern. By practicing these papers and syllabus, you can easily crack the TrueBlue test. 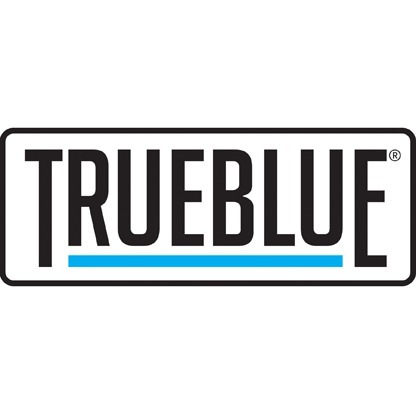 Scroll down this page for more details about the TrueBlue Job Interview. Competitors can check the official notification to avoid further complications. Applicants who clear all the selection rounds conducted by the recruitment team of TrueBlue will get the job in TrueBlue as a Payroll Executive. Attend the TrueBlue Walkin Interview on the below given dates with all the required documents. You can bookmark our page for latest job updates. Process prevailing wage payroll reports to the specific customer defined requirements and the related statement of compliance in an accurate and timely manner from multiple payroll systems. These systems include Ellis, TempNet4, EMars, LCP Tracker, and any other outside web-based order specified by the customer. Issues weekly No Work Performed reports for assigned projects and creates Final payroll reports as required by the customer. Maintains open communications with the branches and customers by responding to their general wage inquiries, researching customer account records, and providing timely responses. Communicate with the customer to define their specific certified payroll needs before the first payroll is generated for each project. Archive assigned customer is prevailing wage payroll records using the department electronic filing system. Monitor and approve customer job quotes for new prevailing wage business within 24 hours. Review job quoted for correct job classification and associated hourly wage from the wage determination sheet, working with the branch to correct as required. Archive customer job quote documentation using the department electronic filing system. Provide support to the department by monitoring the Prevailing Wage Department email activity, providing branch and customer responses and redirecting the email to the appropriate party. Maintain open lines of communication with the branches, customers, and corporate staff to ensure that organizational goals are met. Responsible for maintaining individual and department performance metrics. Should complete any graduation, B.Com, M.Com, B.B.A, B.M.S, MBA, PGDM. Ability to maintain the individuals and department performance. TrueBlue India LLP PeopleScout is the world’s most extensive recruitment process outsourcing (RPO). It is offering a dedicated, scalable, and strategically customized delivery model. PeopleScout’s suite of services includes RPO, employment branding, onboarding, career counseling, and employee retention. Facilitating over 250,000 seasonal hires worldwide, PeopleScout serves businesses in all industries. PeopleScout, a TrueBlue company, has helped define the RPO industry since we were founded in 1991. Our proprietary applicant tracking system and revolutionary processes have simplified and standardized candidate sourcing, selection, hiring, onboarding and retention for some of the top companies in the world. TrueBlue is hiring the candidates who had complete any graduation, B.Com/ M.Com – Commerce, B.B.A/ B.M.S – Managemen, MBA/ PGDM. Interested and eligible aspirants can attend for this TrueBlue Walkin Interview on the mentioned dates with the required documents. Sohna Road, Gurgaon – 122018. We hope that the given information provided about the TrueBlue Walkin Drive is sufficient for your job search. You can check fresher jobs, walkins, IT jobs, etc on our website www.allindiajobs.in.